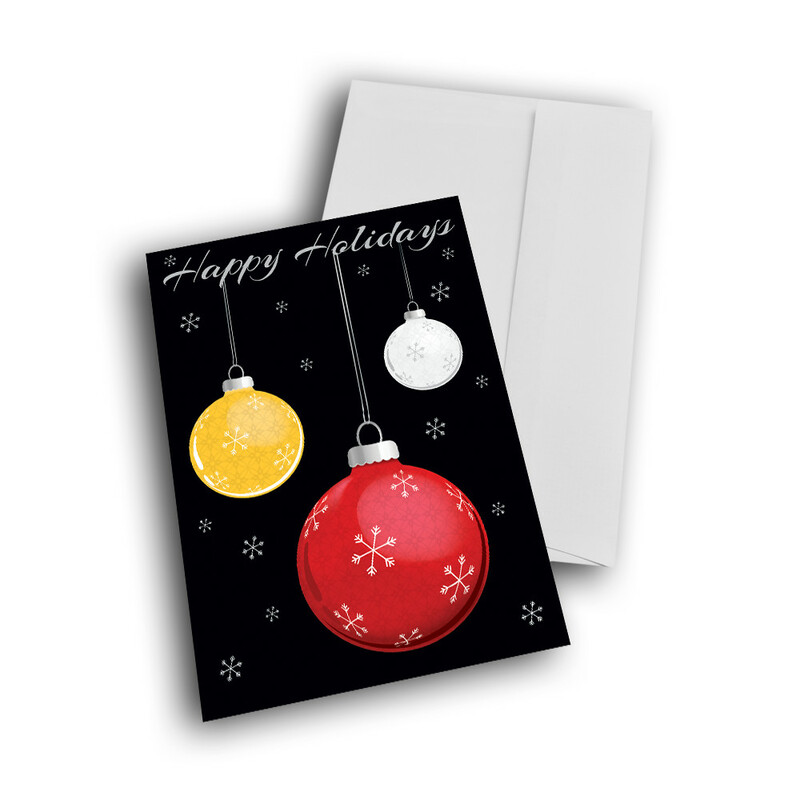 Share some wishes with snowflakes and ornaments, with this simple holiday card. 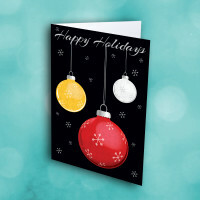 Send some joy and elegance with this ornament holiday card. 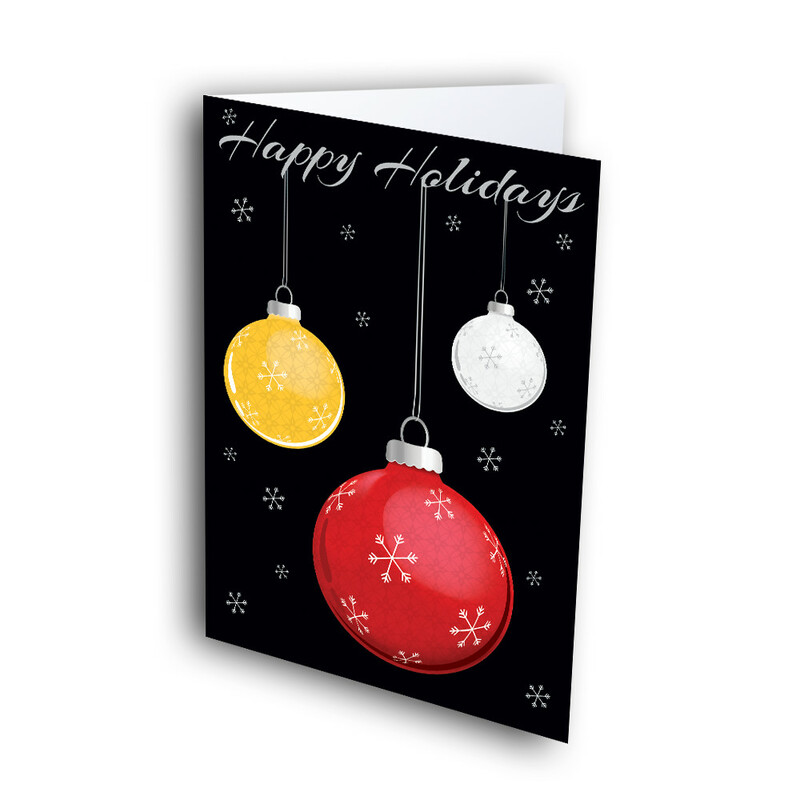 The simple black background, dotted with little snowflakes, brings out the bright, beautiful ornaments. 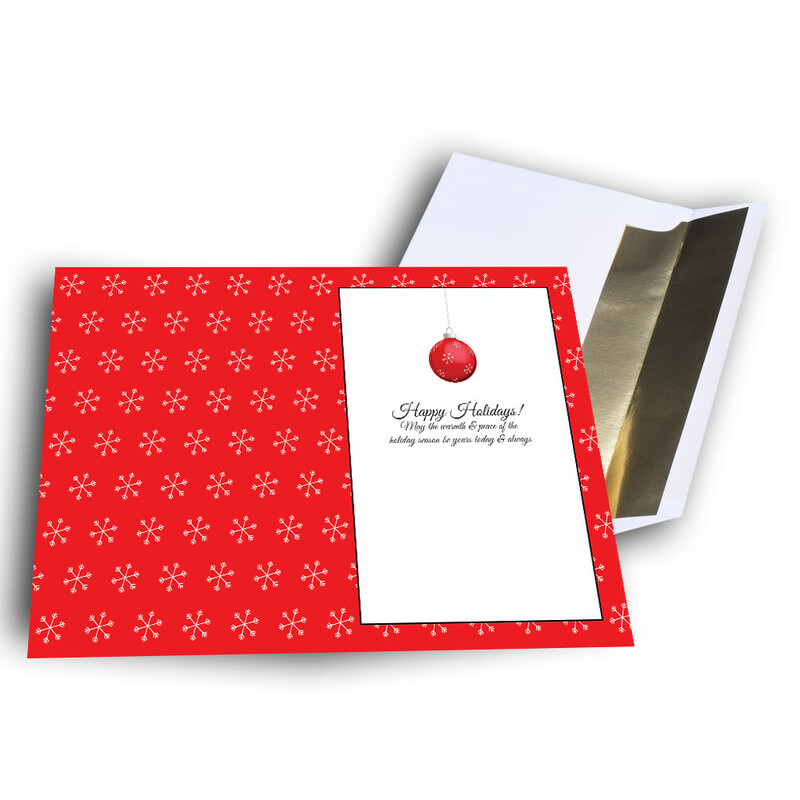 Inside, a bright-red background is patterned with more snowflakes, and displays the holiday greeting. Add personalization to make this a unique, custom holiday greeting card.